A virtual tour of my favourite 20!!! 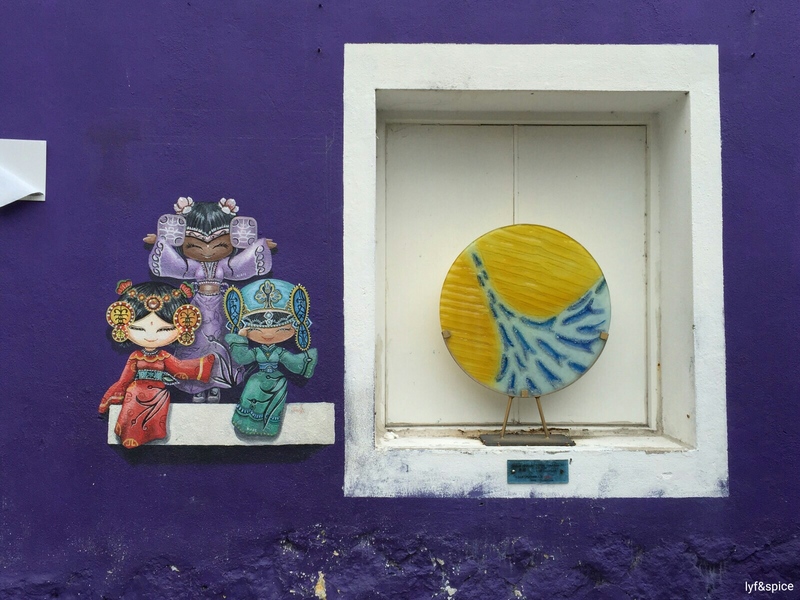 Colours, installations, themes, innovation and design scream STREET ART at Penang’s George Town! 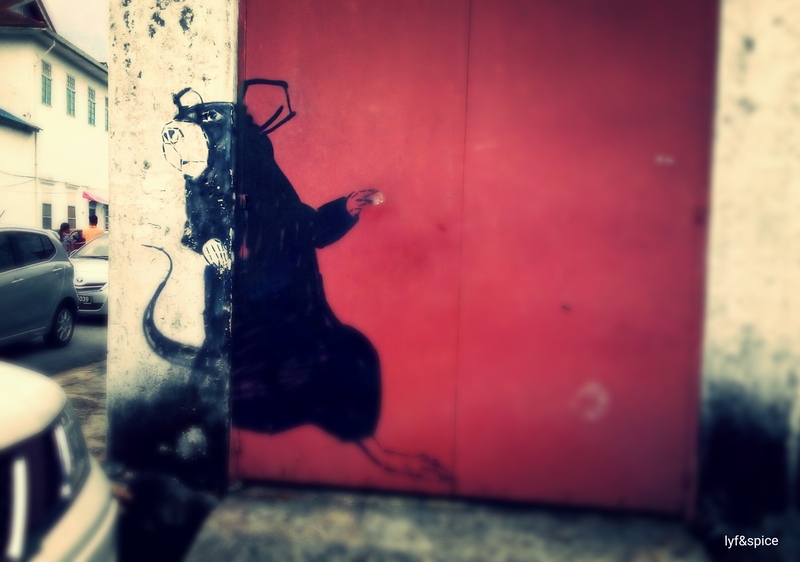 The streets are infested with amazing art. 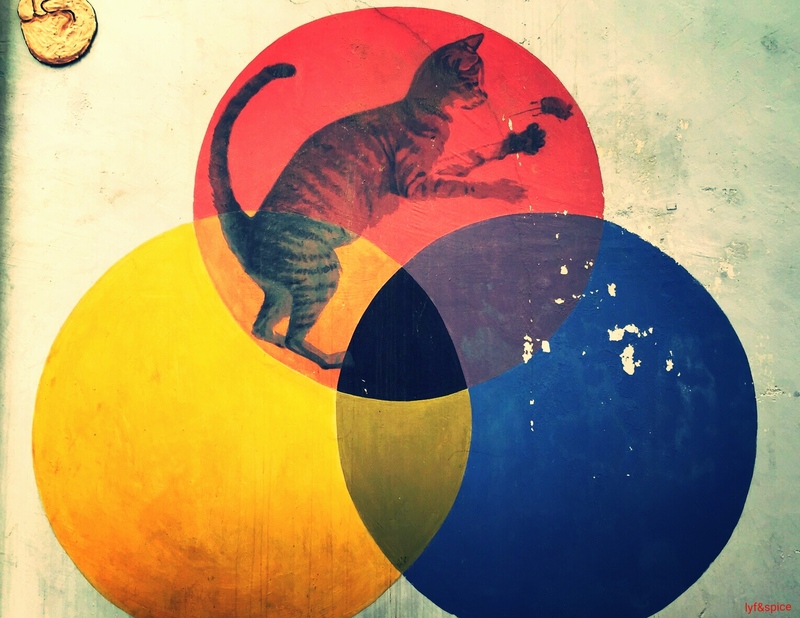 The murals transform the bare streets and give life and form to barren walls. 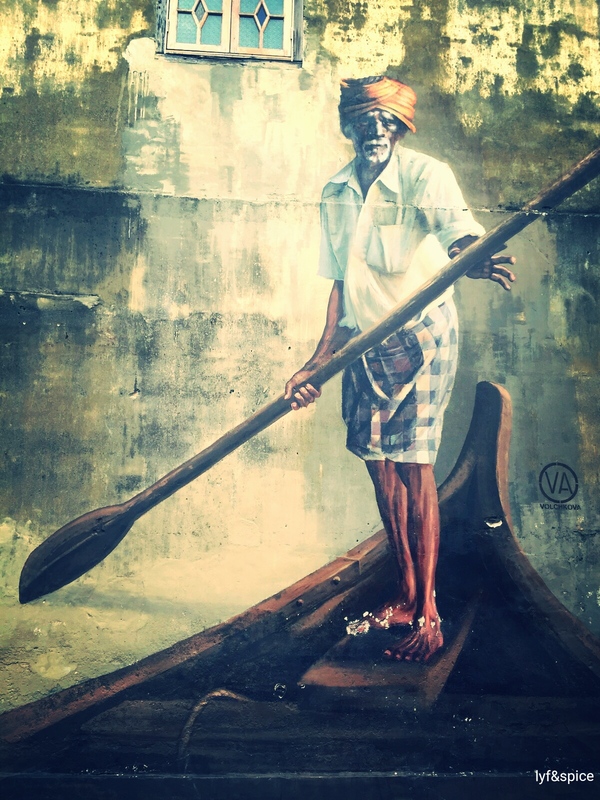 Talented artists have brought about a fresh twist to mere paintings by combining them with installations to create realistic images that connect people with art. 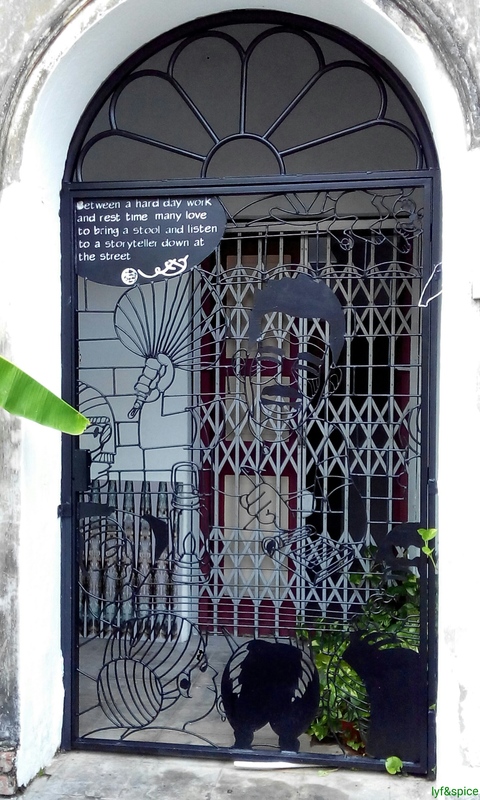 It all began as a part of a project “Mirrors” by George Town festival 2012. While some of the murals are very popular and commonly visited by most, I have compiled a photo gallery of the famous + lesser known works of art across the walls of the town. 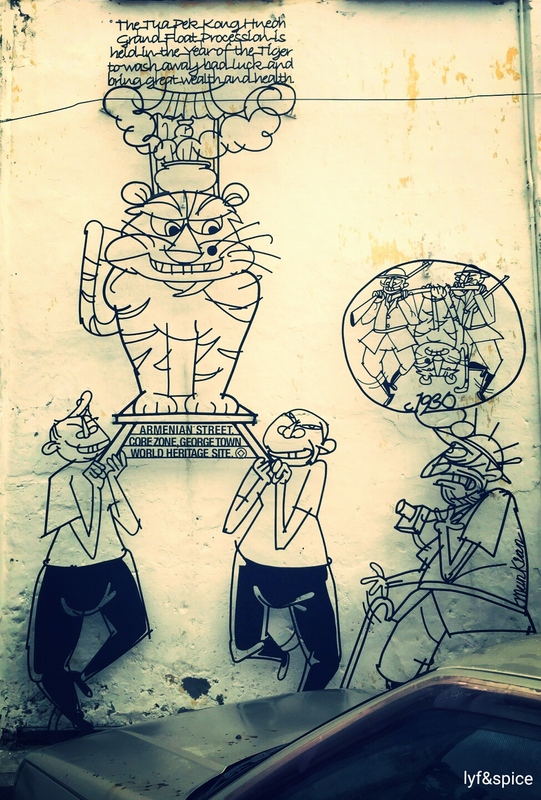 This represents a collection of murals of stray animals, especially cats by the ASA or Artists for Stray Animals to protect stray animals, along Armenian Street. 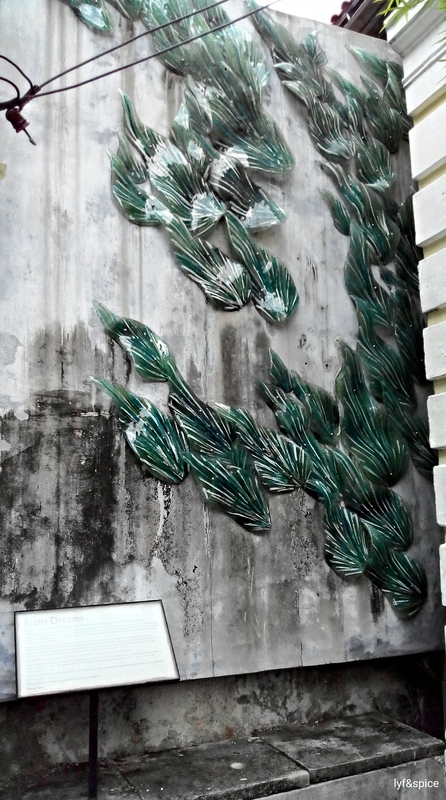 These sculptures made out of rods are formulated by the likes of Tan Mun Kian and Baba Chuah. 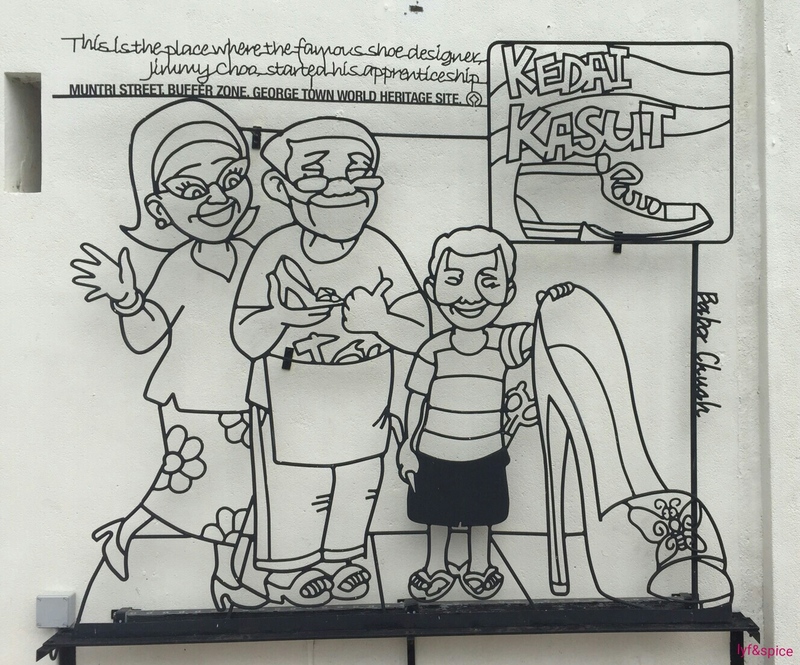 The caricatures represent the trades and trends of good old Penang. The UNESCO heritage site has gained popularity over the years owing to the paintings, besides the well-preserved structures/monuments. These life infused displays add spark to the site. 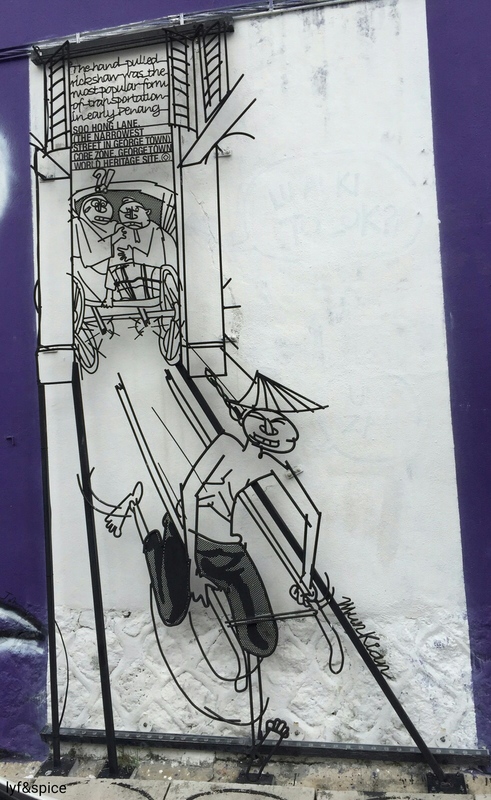 Street art primarily adorns Leith Street, Armenian Street, Soo Hong Lane, Muntri Street amongst many others. 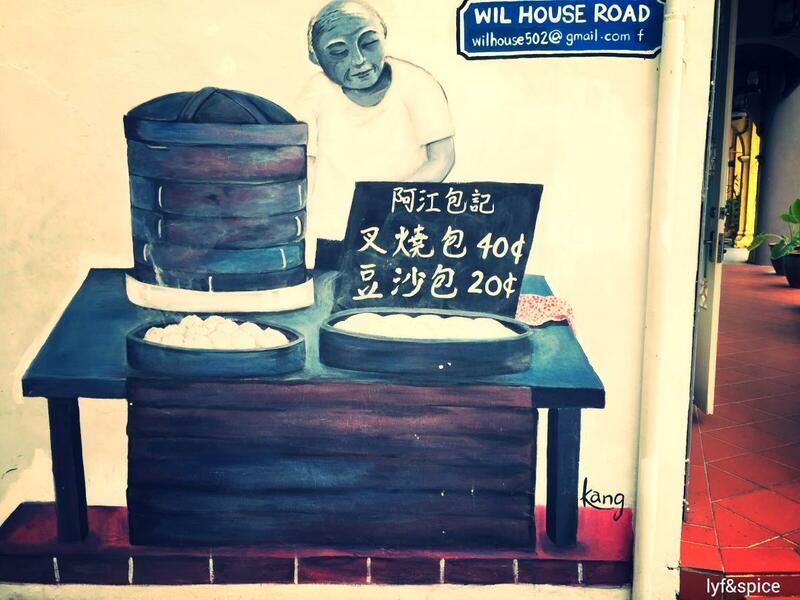 Venture into each and every lane of China Town and Little India. You will surely bump into an art form or café. Use a map. 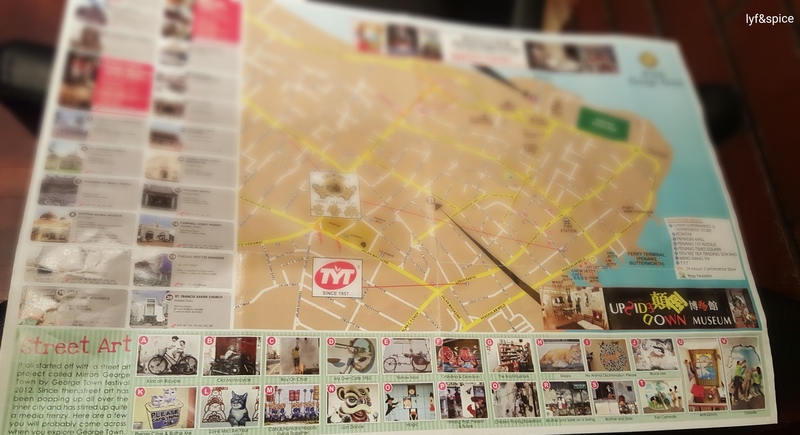 However, some maps may differ and have their numbering switched. Use them as a rough guide only. 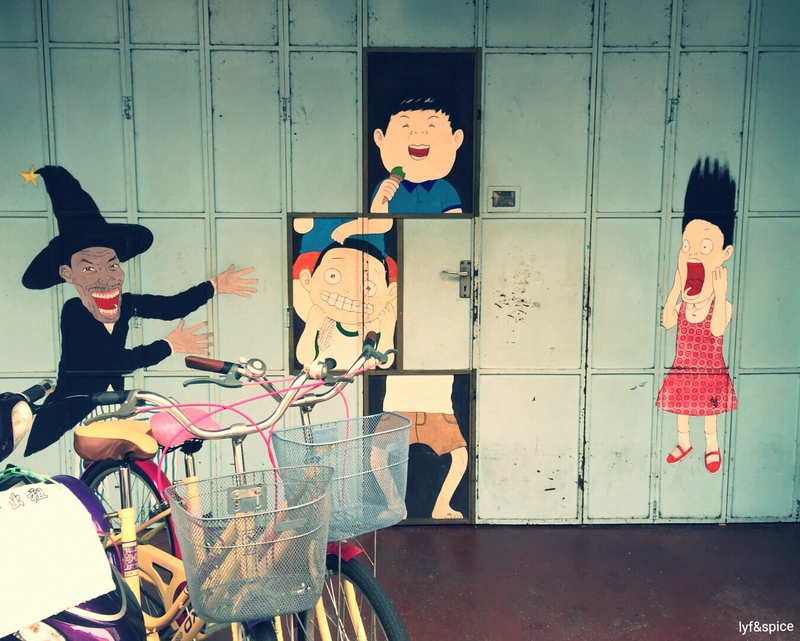 Ernest Zacharevic: I am a huge fan of his work. This picture had to be taken, despite the long queue, as this street was sprawling with tourists! Amazing street art!!! 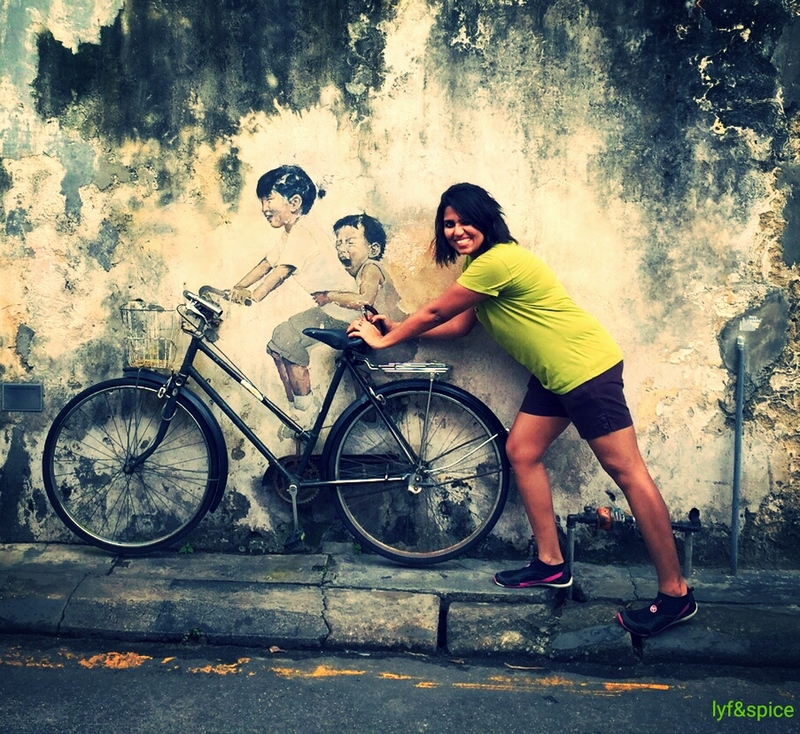 Put on your walking shoes and gear up for a sore-sole journey around a colourful George Town. Trust me, it’s worth the day-long walk and foot ache!!! This post originally appeared on Lyf&Spice. I’ve not seen a few of the pieces you have as it’s been 18 months since I left Penang. 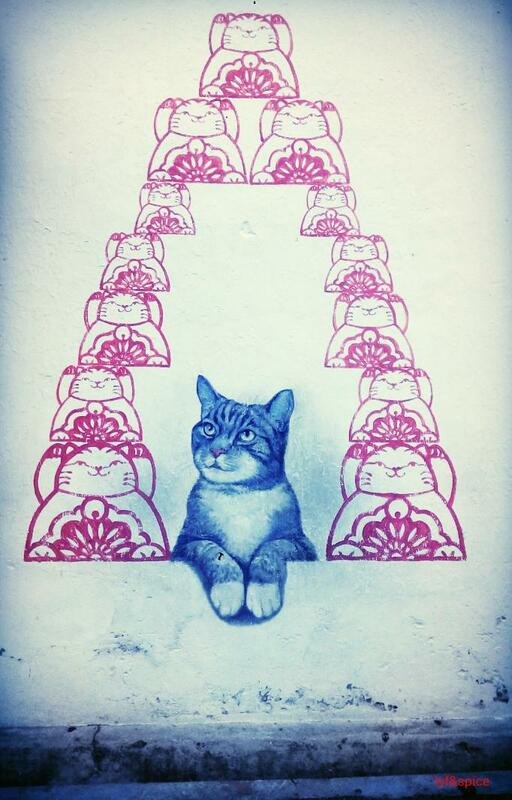 I truly miss the street art there as the town that I’m in now isn’t nearly as good. 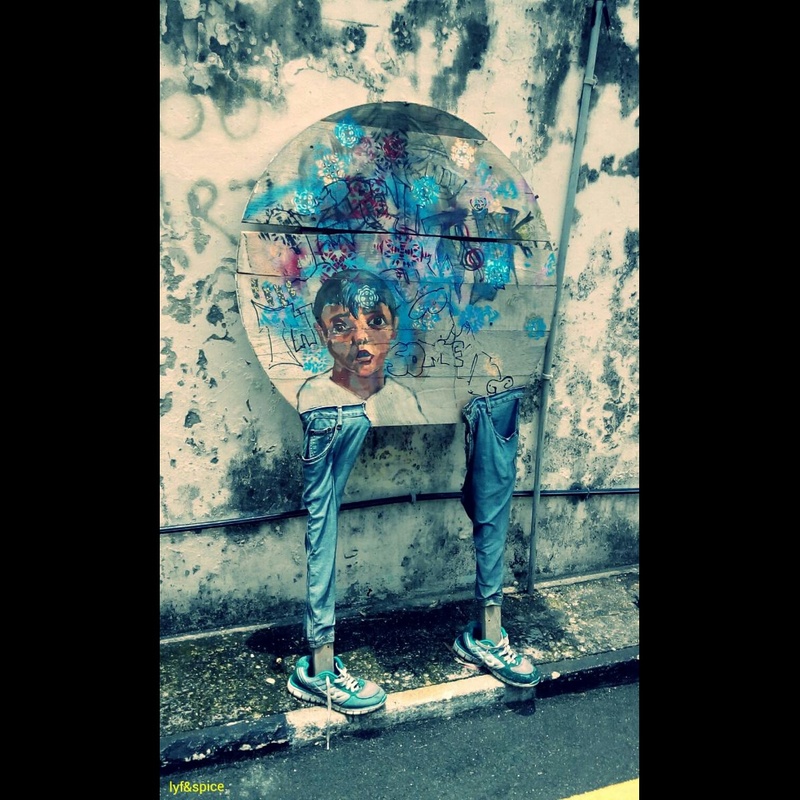 I heard that Zacharevic has been busy touching up some of his art like Boy on a Motorbike and Kids on a Bicycle. I remember stumbling across Kids on a Bicycle for the first time. It must have only been up for a few days as there wasn’t much on the internet about it. There wasn’t a line either as it had yet to be discovered. Watching it’s fame (and the queue) grow over the years has been so interesting to me. These are just wonderful. 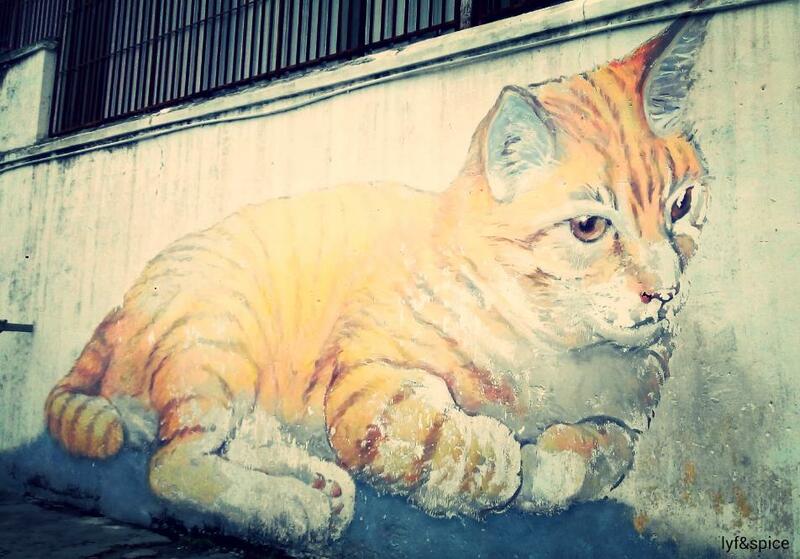 I love the large photo of the ginger cat. What a great collection of art! 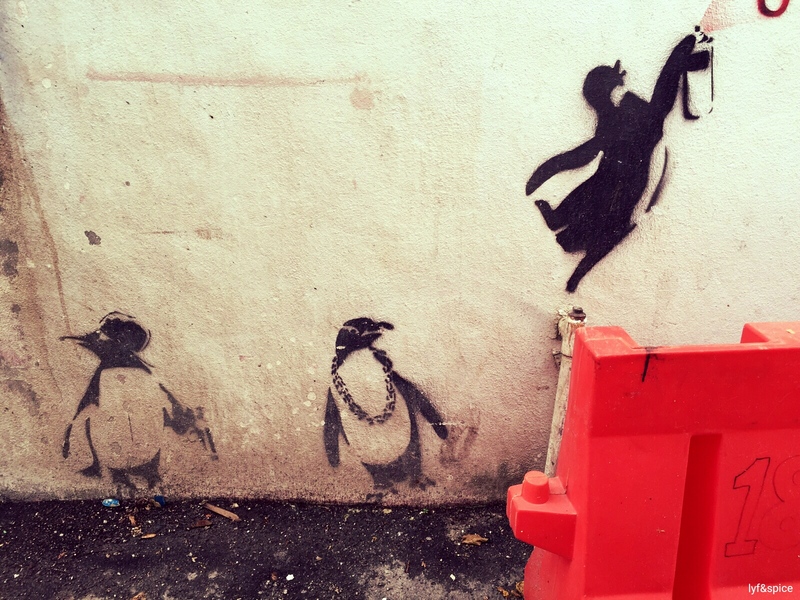 My favorites are the Gangsta Penguins and the rodent hiding from the cat. I was going to ask if there was a map pointing to the murals but you answered my question with one of your photos. Welcome to #TPThursday! 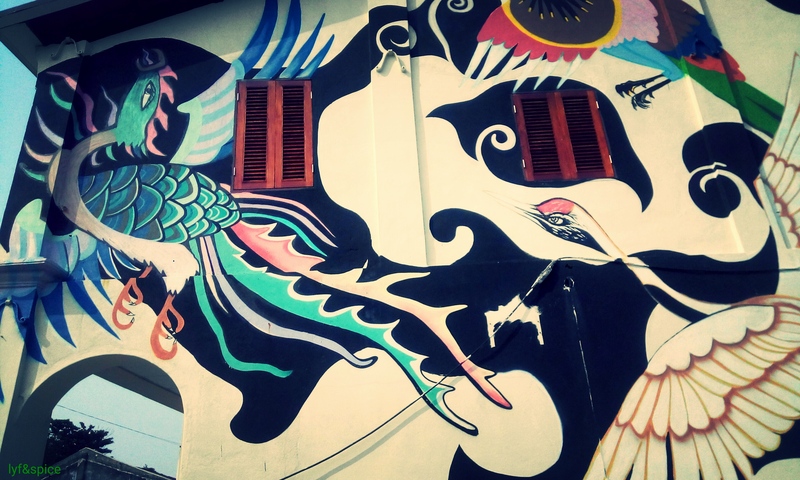 Great shots of street art – love Penang! It sure is!!! 🙂 Have you visited Penang? Thanks a ton… Plan to visit this part of the world? What a great way to tour a city! 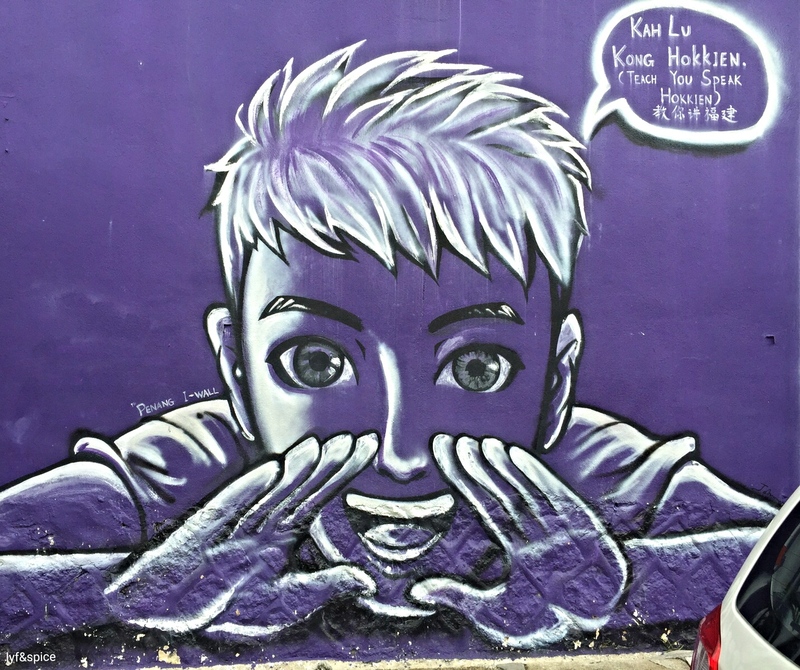 The street art looks amazing. Mind blowing. When you see this looks simple but idea came from GREAT MIND. Keep writing like this. We learn few new things every time.